So I may have been on holiday in the most laid back destination on the planet, but I still found it in me to do some work. Research actually. 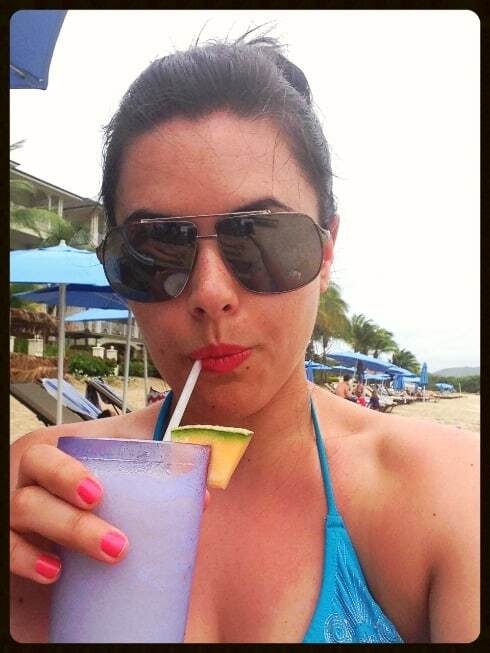 That’s right, I scoured and scrutinised the island in search of the best Pina Colada in St Lucia. It was awful, just awful. 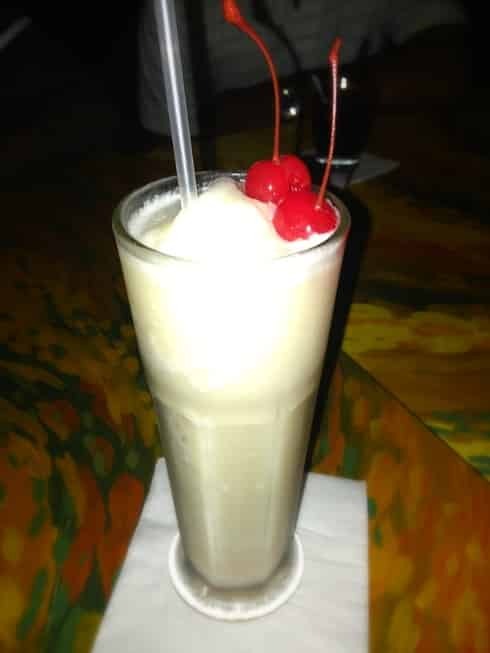 The Pina Colada is my favourite cocktail, but I never order it. In Britain they are horrible things: big, watery ice cubes, chemical coconut & pineapple flavoured mixer, not to mention a pitiful amount of rum. I’m sure I’d find a spectacular version in a posh London venue, but honestly I don’t fancy going to such lengths to get myself a decent drink! 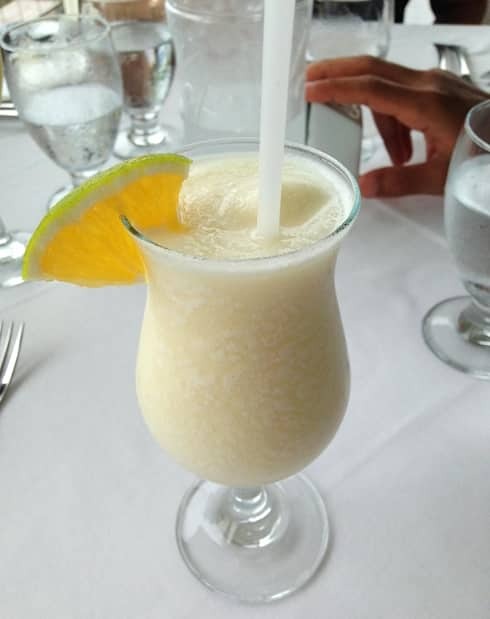 The best thing about St Lucia is that a great tasting, fresh Pina Colada is just outside your doorstep. Remember all the fruits I mentioned? That means no chemical coconuts, just the real deal blended up into deliciousness. Shall we begin the countdown? You’ll find Spinnakers on the beach around Rodney Bay. They do great dinners and 2-4-1 happy hour starts at 5pm. Sadly quantity made up for quality in this case. Whilst still a million times better than any Pina Colada you’ll find in the UK (and an infinitely more glorious setting) It was a bit too icy for my liking, meaning a watered down flavour after a few minutes in the heat. Along the main strip in Rodney Bay, this restaurant offers up authentic food and a really good looking bar. Their happy hour goes on 5-7pm but offers just $4 off the usual price rather than a free drink. 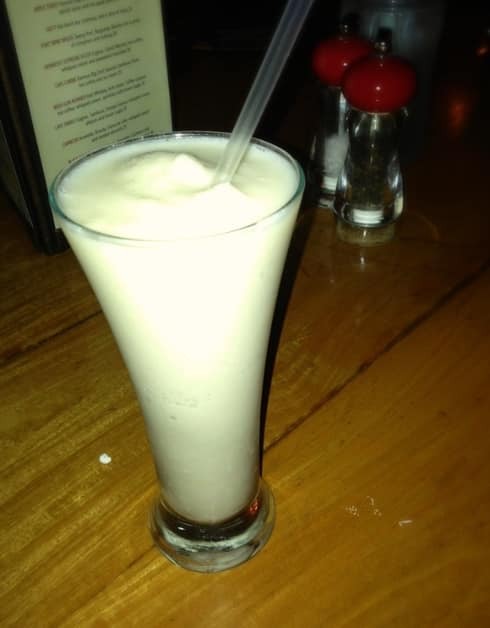 Despite arriving on it’s lonesome my Pina Colada was made from incredibly fresh coconut milk and was super refreshing. Could have done with a little more rum. I picked up this delicious little beauty by the marina. Strong, creamy and very well blended; not a chunk of ice in sight. Great value especially given the generosity of the rum. Served to me at one of the best restaurants in St Lucia (seriously, you will not find a better steak) I expected nothing less than a great drink. I wasn’t disappointed: full of flavour with a perfect balance of fruity pineapple and creamy coconut, it was more like a dessert being so thick. I was a little sad he came to the table naked though: a girl needs her glacé cherry! So what’s better than a glacé cherry? TWO glacé cherries! Well done Coco Palm, you understand the simple things in life. 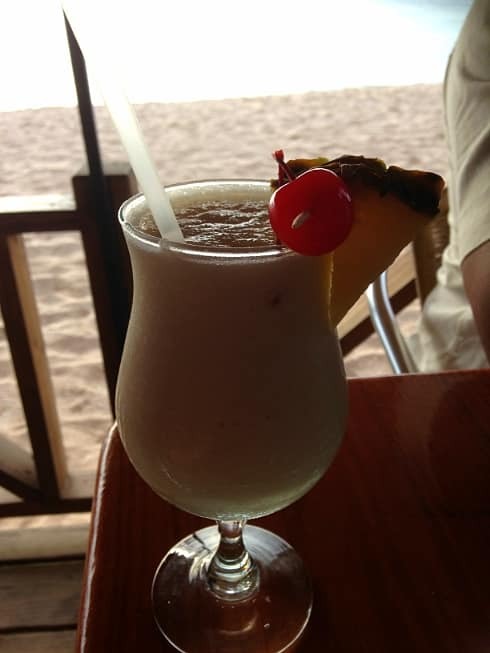 This Pina Colada was more like a Pina Colossal and I spent most of our visit engrossed in trying to conquer it. A shame the rum measure was the only reserved portion of the drink! I discovered this little beauty on our first day, and I fell in love. 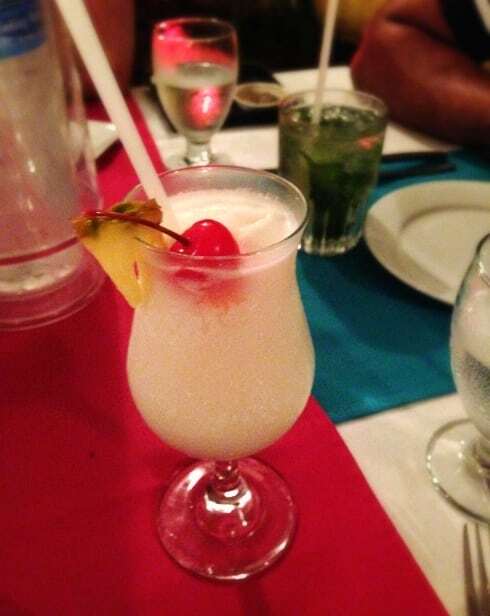 Right under my nose at our hotel restaurant, The Landings Pina Colada was just incredible. My first sip had me doing the dramatic wide eyes, followed by force feeding everyone at the table a sip to show them how good it was. We all agreed: one seriously delicious drink. 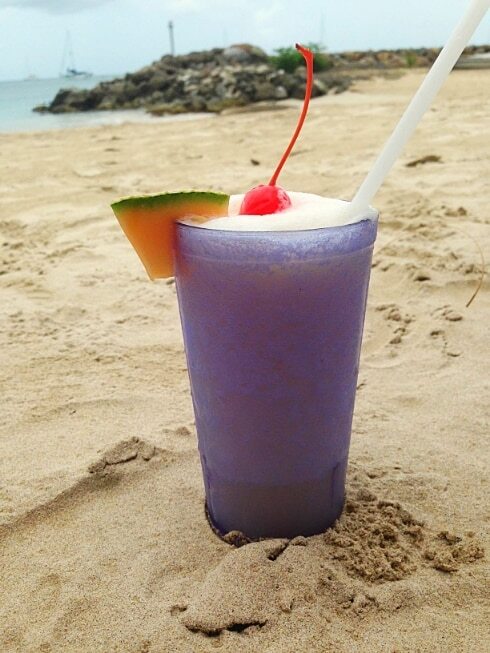 It’s just so perfectly balanced with mellow, mouth watering pineapple juice, blended with the creamiest of coconut and the perfect balance of rum shouting out to your taste buds in the background. I didn’t think it was possible. I thought perhaps it was me being seduced by this beautiful restaurant (seriously, I cannot wait to blog about it) but going back on my last night confirmed it: Calabash Cove topped The Landings. Just. I can only repeat the comments of my long term favourite, except they did it all just slightly better and followed it up with an extra strong one on the house. Those sneaky little charmers. I think I’m done with coconuts & pineapples for a while. 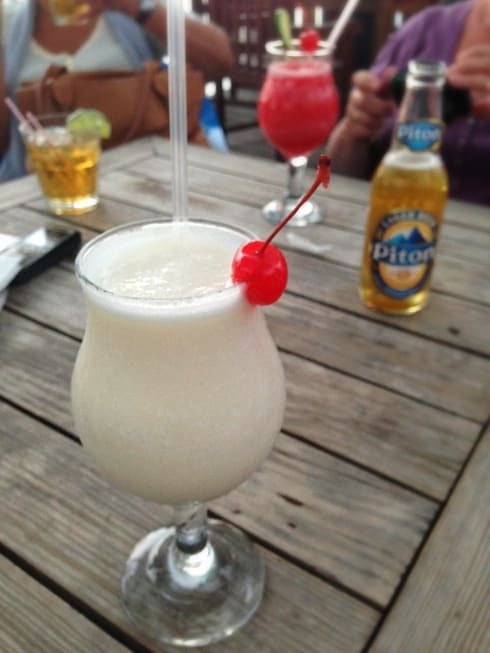 Calabash Cove Pina Colada was the clear winner for me. So good.